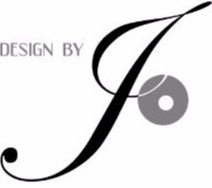 “Working with Jo to freshen our company logo was a real pleasure. Jo is talented and creative. Through face-to-face meetings and email conversations, she got our vision, provided multiple options and eagerly adapted her designs more than once to meet our preferences. We are very pleased with the end product and would recommend her to anyone in need of creative design." “Jo was absolutely wonderful!! Not only was her work beautiful, she was kind, patient and very reasonable. My daughter LOVED her invitations for her 16th birthday party!!! We already delivered some and the compliments were "beautiful! ", "amazing invitations!". I will always recommend Her and will definitely use her services again! “Excellent work at a reasonable price. Our guest love our invitations!"